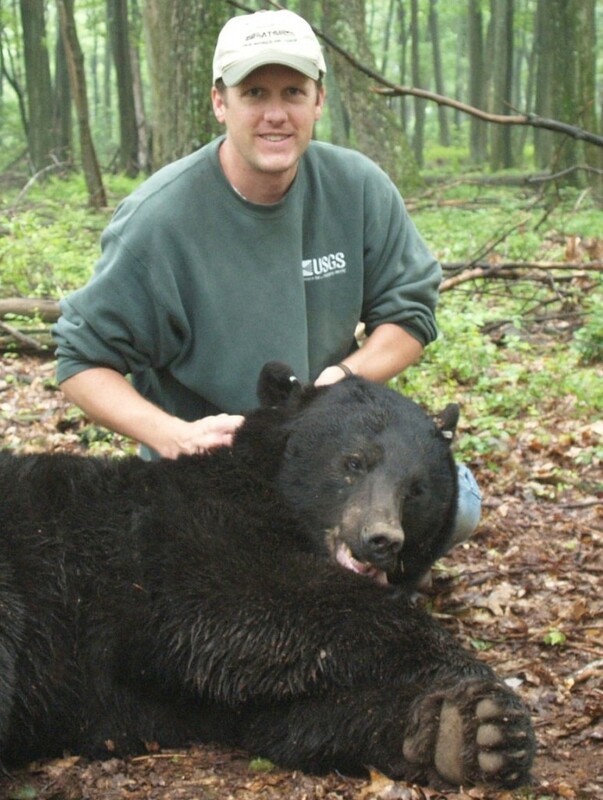 Dr. Duane Diefenbach is an Adjunct Professor of Wildlife Ecology at Pennsylvania State University and Leader of the Pennsylvania Cooperative Fish and Wildlife Research Unit. He received his Master’s degree in Wildlife Ecology from the University of Maine and his PhD in Forest Resources from the University of Georgia. Afterwards, Duane worked as a Biometrician for the Pennsylvania Game Commission for about seven years before accepting positions with the Pennsylvania Unit and Penn State. Duane is here with us today to tell us all about his journey through life and science. When he’s not hard at work in the world of science, Duane enjoys spending time with his wife and two English Setter dogs. He’s also handy at woodworking, and is putting his talents to use by restoring his limestone farmhouse from 1863. Duane studies game species (species that are hunted) and works with natural resource agencies to provide them the information they need to make better management decisions for these species. In 6th or 7th grade Duane started working at a natural history museum in his home town. He especially liked learning about the animals being cared for in the live museum that weren’t able to be released into the wild (for various reasons). While he was working at the museum, he learned so much about many different scientific fields and knew he wanted to pursue a career in science. One of his graduate school projects involved reintroducing bobcats to an island off the coast of Georgia. They had to trap bobcats on the mainland, quarantine them, transport them, and then release them. Duane and his team spent over a month trying before they caught one bobcat! They were wondering if they would ever graduate, but things turned around just in time. One of Duane’s students just finished her masters and has published two papers. She developed a new method using data from radio collars and ear tags that gives better estimates of survival and harvest rates for game species. Duane has particularly fond memories of his trip to New Zealand. While there, he was able to spend some time sightseeing with his family and was impressed with the natural beauty and the animals you could see there that don’t live anywhere else in the world! On the scientific side, he was fascinated by understanding the impacts of the introduction of deer to the island. During his masters days, Duane and his peers attended a student conference where each school had to give research presentations. They slipped in a fake project about pink flamingo lawn ornaments and actually got a few slides into the presentation before everyone realized it was a joke. The humor was much appreciated and the conference created a new Pink Flamingo Award in their honor. Follow your passion because you are most likely to succeed and have a fulfilling career if you are doing something you enjoy. Dr. Diefenbach’s primary research interests focus on empirically evaluating models used to estimate population parameters and how those models are incorporated in management decisions. Consequently, many of his research projects involve game species (white-tailed deer, black bear, and wild turkey). His research has focused on methods of estimating abundance as well as hunter attitudes and behavior and how that influences harvest rates and the spatial distribution of hunter harvest. Recent collaboration with the Pennsylvania Game Commission and Pennsylvania Bureau of Forestry has involved the use of Structured Decision Making in developing management decision tools. Future research will involve integrating these tools in a quantitative manner into decision making processes. However, not all of Dr. Diefenbach’s research involves game species. For over 10 years he studied grassland sparrows on reclaimed surface mines in Pennsylvania. There are several endangered and special concern species that use reclaimed surface mines and he focused on grasshopper, Savannah, and Henslow’s sparrows because they are relatively abundant and are obligate grassland species. His research developed methods for estimating abundance and his students studied their breeding ecology and population response to management efforts to improve habitat quality. Dr. Diefenbach teaches a graduate course in methods of estimating population parameters (survival, abundance, etc.) and advises PhD and M.S. graduate students. In 2013 The Wildlife Society recognized Dr. Diefenbach’s accomplishments with the Caesar Kleberg Award for Excellence in Applied Wildlife Research.